Reading copy only with wear and heavy page tanning. ; 1.2 x 9 x 6.2 Inches; 432 pages; Nothing Like It in the World gives the account of an unprecedented feat of engineering, vision, and courage. 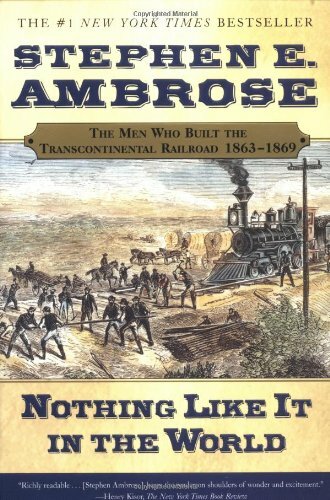 It is the story of the men who built the transcontinental railroad -- the investors who risked their businesses and money; the enlightened politicians who understood its importance; the engineers and surveyors who risked, and sometimes lost, their lives; and the Irish and Chinese immigrants, the defeated Confederate soldiers, and the other laborers who did the backbreaking and dangerous work on the tracks.